Well better late than never, here are the zombies that I will be giving away. Juts send me a message on my Facebook page if you dont have a FB account then just send me a message/comment here on this blog and Put Your Name and Email Address and I will choose (5) five of you at random as winners on Friday. If you are a winner I will contact you for your mailing info. 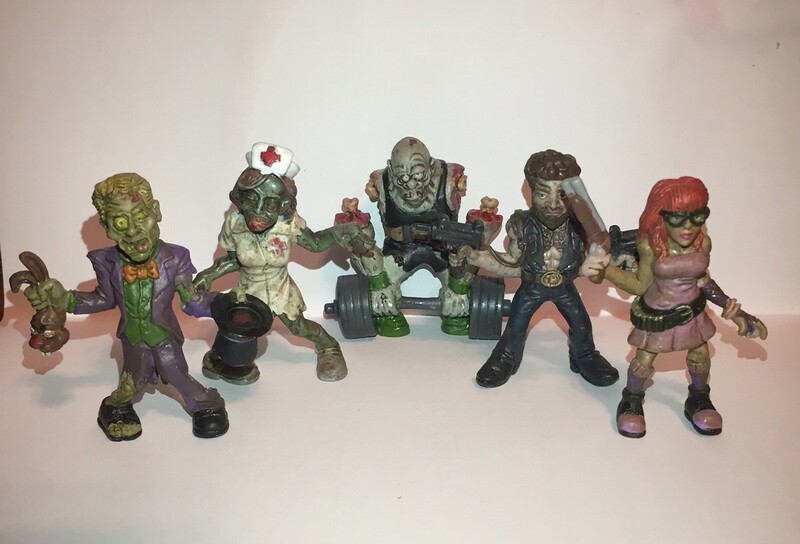 Thanks for the give-away zombies, this is so sweet of you. I like this blog thus bookmarked it for future posts on the same. Cheers! loved to see this blog! you have shared amazing games and christmas movies, i really like it, gonna book mark your blog for further details, thanks for sharin with this.